As a dietary supplement, take 1 serving (2 capsules) 30-60 minutes before bedtime or as directed by your health care professional. Take only once daily and use only as directed. Consume only 1 serving (2 capsules) daily. Consult your physician before using this product if you are pregnant, breastfeeding or taking anti-depressant or anxiety medication. Not for use for those 18 years or under. Discontinue use and consult your healthcare professional if you experience any adverse reaction to this product. Keep out of reach of children and pets. 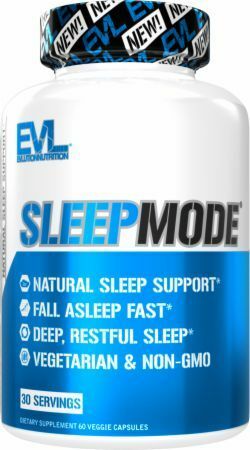 Do not drive or operate machinery while taking SLEEPMODE™.